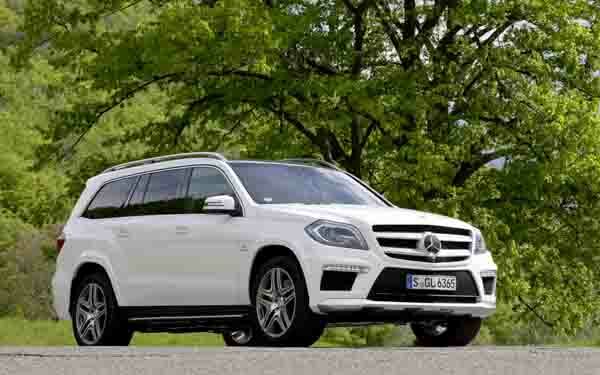 2014 Mercedes-Benz GL 500 with 4WD, 21″ wheels and USB. Price reduced! 2013 Mercedes-Benz GL 500 black sedan, white on the inside with tuner/radio and GCC specs. 21″ wheels. 2011 Mercedes-Benz GL 450 with parking sensor front, xenon headlights, ABS. It has beige interior and is Grey/Silver. GCC spec 2013 Mercedes-Benz GL 500, 8 cylinders, blue SUV/Crossover with beige interior. It comes with alarm and navigation system. Automatic Mercedes-Benz GL 500 with 20 inch wheels, performance tyres, power windows, blue on the outside, beige interior. 2014 Mercedes-Benz GL 500, price AED 149,000, white SUV/Crossover, beige on the inside with power windows and panoramic roof. 21″ wheels. Mercedes-Benz GL 500 4.7L V8 4Matic 2015 - Warranty Available / Premium Sound [ Rear Entertainment ] 430HP! Mercedes-Benz GL 500 with many features, including climate control, parking sensor rear, power locks. Grey/Silver with brown interior. Blue 2014 SUV/Crossover. Grey interior. It features ABS, 21 inch wheels and alarm. AED 169,000 for this GCC spec, white 8 cylinder SUV/Crossover with brown interior. It has tuner/radio and air conditioning. AED 115,000 for this GCC spec, black 8 cylinder SUV/Crossover with beige interior. It has power windows and ABS. Mercedes-Benz GL 550 grey/silver SUV/Crossover, black on the inside with power seats with memory and cruise control. 18″ wheels. Black 2008 SUV/Crossover. Black interior. It features air conditioning, 19 inch wheels and xenon headlights. 8 cylinder black 2010 SUV/Crossover. Black interior. Airbags (front and side), 19 inch wheels and power locks. Black 2007 SUV/Crossover. Beige interior. It features power seats with memory, 19 inch wheels and climate control. Hamed - Pre-owned GL63 AMG, incredible cars, fantastic options and the power generated from the V8 is enormous. I may even export the vehicle back home when I leave Dubai. Pros: Power and plenty of options to choose from. Sandra - We’ve got a used GL 400 4Matic at an excellent price in the UAE, it's spacious inside for the kids and us, and it’s got all the properties to keep everyone entertained. It fits in perfectly and has lots of power. Pros: Power, options and style. Cons: V8’s get thirsty quick. Kamal - Second-hand import GL550 owner, perfect car for Dubai. Full of options, excellent engine, loads of space with two rear folding rows. No complaints except the handling, otherwise great cars to buy. Pros: Interior space and options. Cons: Handling can be awkward at times. They appear as big vehicles with massive engines which would result in a lot of noise being generated. However, this is not the case as the acoustics used inside the cabin minimise engine notes and road noise. Power selection of motors, sure there’s only a V6 or a V8 engine to choose from, but they get the job done. Something so large needs excellent stopping power and the GL-Class is equipped with massive brakes and have optional perforated brake discs. Many luxury SUV’s miss the point of being an SUV by creating small boot space and offering no third seating available, the GL-Class has both. The list of options, especially in the second generation goes on forever there is just so much to choose from. 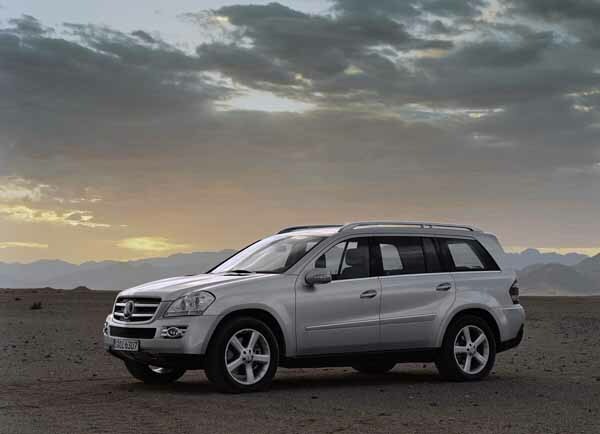 Mercedes’s latest SUV debuted back in 2006, making these cars one of the newest to join the lineup. With its significant presence, third-row seating, options list and engine power, it certainly made an impact on the SUV market and is here to stay in one form or the other. Built for the American consumer in mind, the GL was supposed to be exclusive to the States, however, due to popular demand, they started to export them around the world and the UAE was new exception as there are plenty of used Mercedes GL series for sale in Dubai, UAE. In 2015, the letter S was added to the end of GL, and the series is now officially known as the GLS-Class. On road rivals include: Lexus LX Series, Cadillac Escalade and Audi Q7. Standard features include; Fabric seats, power seats, climate control, MP3 interface, cruise control and seating for up to five adults. Higher trim levels have parking sensors, rearview camera, navigation, heated seats, memory seats, leather upholstery. Third-row seats are optional across the range as is Airmatic suspension and 3D instrument panel. From 2010, a new front end is attached as are a selection of 19-inch five-spoke rims, LED rear lights, daytime running lights, roof rails and chrome window trim are part of the basic package. Three models and engines are available in these years; GL350 powered by a 3.0-litre V6, GL 450 with a V8 motor and the GL550 (GL500) equipped with a V8 5.5-litre engine. A diesel variant is available and is badged as a GL320; some regions may have the same model powered by a petrol motor. Prices for these models start at AED 59,000. Weighing in at 100 kilos less than the previous generation, second gen GL-Class cars are bigger, more luxurious and packed with more options. The range of standard features expands from the previous generations and now includes enhanced safety options; collision prevention assist, nine airbags, Airmatic suspension and electric tailgate. As standard inside USB input and Bluetooth pairing join the mix. Additional options; rear entertainment system, Bang & Olufsen sound system, COMAND online media system, panoramic sunroof and an AMG Package. Active parking assist, keyless start, memory seats and intelligent lighting system is standard on the GL500 and optional on others. This generation introduced the GL 63 AMG, powered by a V8 motor hand-built by AMG, 557 horsepower is sent to all four wheels via 7-speed automatic transmission resulting in a 0-100 km/h time of just 4.9 seconds and a top speed exceeding the 250 km/h mark. These models come with similar features to the GL 500 and adds 21-inch rims to each corner, AMG floor mats, AMG ride control with three selectable modes; Controlled Efficiency, Sport and Manual, Sports and various other assists. GL 500 and GL550 models have their V8 motors slimmed down to 4.7-litres, GL 450 takes over from the GL400 and now packs a 4.7-litre V8 engine and the GL 320 and GL350 petrol engines is dropped in some regions and replaced with a diesel power unit instead.